Readers’ Forum: What’s in a cover letter? Home » Readers’ Forum: What’s in a cover letter? I was recently laid off and I am applying for jobs online. The question I have is whether to include a cover letter or not? Do they really matter these days? I always feel silly saying things like, “I am motivated and enthusiastic, and would appreciate the opportunity to contribute to your firm’s success.” If I do need to include a cover letter, what do employers want to see that would make them look at the resume? Resumes? Cover letters? What do hiring managers want to read? Does a cover letter buy you anything? 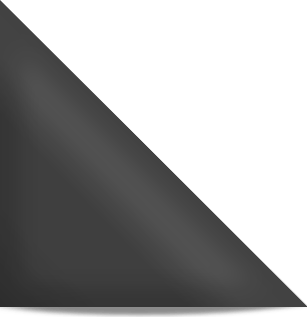 I’ve got it… How about a cover letter without a resume? Save time… arouse curiosity? Do you use a cover letter? Think it helps? What’s the magic — or is there none? Help this reader decide what to do next. Readers' Forum: What's a guinea pig to do? Always include a cover letter if you can. In it, state how you’ll meet and exceed requirements for the position. It’s competitive out there and a cover letter does make a difference. Some positions we posted a few places recently gave us literally hundreds of responses in 24 hours. The cover letter is your chance to show that you actually read the job description, researched the company and will definitely increase your chances of going into the “follow-up pile”. Of course a generic “Dear Sirs or Madams” cover letter won’t do any good. 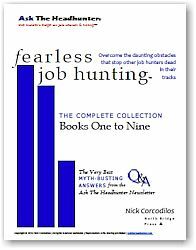 I would go back to Nick’s basic advice on finding a job – online applications don’t work! networks = real contacts with real people, do work. That’s the way i’ve found ALL of my recent interesting/well-paid/longterm contracts. So talk to your networks, build your networks, in all walks of life – i’ve found jobs in the past talking to the teenage children of people i knew, or to people who had absolutely nothing to do with my field – it turned out that they knew somebody who knew somebody etc. Don’t underestimate the power of your networks, no matter how remotely related they may seem to your actual professional sector. Cover letters allow you an opportunity to tell a “sucess” story if you don’t include any in your resume. It can tell the reader that you have taken the time to understand the position and how your skills and abilities will be of value. It’s another opportunity to say something that will set you apart from other applicants. Lorraine’s advice to follow Nick’s advice remains valid: you stand a better chance to land a job thru an personal connection. Still, I wouldn’t write off online applications altoghether. If they ask for a cover letter, you should write one. If not, then don’t. Regarding Nick’s advice on personal connections, my experience is they don’t always garanty sucess. I have found on numerous occasions that the “connection” becomes very timid when asked to put there reputation, name, whatever on the line and sometimes end up damning you with faint praise. Or, as recently happened to me, a friend working for a company I was interested in said that I was overqualified. Indeed I am over qualified, but that doesn’t pay the bills, as I explained to him. I suspect this subtext will be unconciously communicated and so am not holding my breath. It’s now been one week . . . and we’ll see if I get a call. Many job seekers today are making sharp left turns in their career paths. Perhaps their industry has dried up in their area, but they want to stay put rather than move across the country. Maybe they’re just burned out and ready for something new. In these cases, the cover letter is used to avoid a ‘why the h*ll is he applying for this job?’ reaction to the resume. My title is Training & Placement Specialist. I never had a job with ‘training’ or ‘trainer’ in the title. My background was in retail management (store manager, district manager then head office in IT and purchasing) and software sales & support. In my cover letter for my current position, I used the words ‘training’ and ‘trainer’ five times. I did training, but that wasn’t necessarily obvious in a 10 second scan of the resume. The cover letter needs to say and demonstrate ‘I can do what you need to have done’. Nick would add ‘profitably’ to that, but I work for a non-profit. Cover letters are ways of showing that you are a fit for the job. While your resume may be tweaked for the position anyway, it likely isn’t going to be as eye-popping in some areas as the cover letter can be. This is why I can say that I see the value of a cover letter yet I haven’t ever gotten a job by having one myself. Of my 4 post-college positions, 2 were through recruiters and 2 were by simply sending in a resume. A key point in the cover letter isn’t to day that you are motivated and enthusiastic directly, but rather illustrate this. Dramatize how this has played out in previous situations to your advantage. Show them the goods! By dramatizing your ideas, this may help sway things though if you want other ideas, read “How to Win Friends and Influence People” by Dale Carnegie. It is an oldie but goodie on some of this stuff. Remember the old “Happiness is different things to different people”? Such is the challenge of trying to deal with what at the end of the day is as Nick has said so well, a decision where one knows going in that some will think it’s a good a idea and others not. For sure there are arguments to make on both sides. That said, I would come down on the side of sending a cover letter but with the objective and making it very short and VERY focused. Keep in mind that cover letter or not, whoever is going to be looking at what is sent is certainly not gonig to be spending much time scanning it before decidiing while pile it goes to. Okay, here’s my take. You submit a resume. And the argument some make is to ALSO submit a cover letter in order to show you understand the specs put forth in the job description. So what’s the point of including your resume? If the cover letter explains why you are a fit for the job, your boilerplate resume is the useless document. Why not produce a single document that tells about how you will meet the demands of the job by showing how your history maps onto that job? I really don’t get the idea of a resume + a cover letter. It’s as though you’re admitting your resume doesn’t cut it, doesn’t justify your application and doesn’t explain in itself why you should be considered. I don’t understand why two documents are required – especially when we all pretty much agree that the resume by itself just doesn’t address the job spec effectively. I tell you why it exists. If you read enough Victorian novels you will realize that in the olden days one replied by letter to job ads in the Times (or whatever) if one wanted a job as a tutor to Milord’s children. The question is; whose dumb idea was the resume?? @Bleh: Excellent question. Handing a resume to an employer seems akin to a waiter handing a shopping list of ingredients for menu items to a diner and asking them what they want to eat. Nick–The sad truth is that, when applying for a posted position, candidates must ‘follow directions’. If the ad says ‘Please submit resume and cover letter to…’, you just have to. One of the quickest ways to get emininated from consideration is to not follow directions. One can certainly do more than requested but never less. Of course there are many ways to find a job. Look at the careerxroads.com Sources of Hire annual survey for some great insight on prioritizing job search efforts. The fastest growing source (going from 12% in 2005 to 22% in 2009) is employer web sites. If you go that route (which you should, why ignore 22%), following directions is essential. Hi Chris….in a way you are right but 8 years on….you can follow directions and not get the job or you can stop pandering to employers and not get the job. Up to you: no job ad your dignity or…no job and no dignity. Cover letters tell me alot about the communication style of the applicant and can emphasize positives or on the other hand, create a negative impression. A tight paragraph demonstrating reasons why an applicant gained a reputation among engineering peers as the interdisciplinary problem-solver adds value. A rambling letter filled with catch phrases and discussion of what the applicant thinks about their own worth can convince me that an interview is a waste of time — especially for a position that requires skilled communication. @Chris Walker: And one of the quickest ways to get eliminated is… to follow directions. When you submit your resume and follow directions, you cannot defend your resume while it sits there by its lonesome… some personnel jockey decides that “C++” in your programming experience is not “Java,” and you’re out. Think about this as a Zen approach. The fastest way to where you want to go is not to walk toward your objective. Find another path that’s less traveled by competition which will slow you down. Actual distance (or work required) may be more, but due to elimination of most competition, it’s faster. Let the posted position go… instead, track down people who know the manager. Get recommended. Or, don’t apply for the posted job at all. Track down forthcoming positions through industry insiders… again, a Zen approach… apply before there is a job open… be first in line. What could be in that cover letter (other than the waste of time stuff Linda lists) that as a manager would be sufficient to make you want to interview the person… without needing to see the resume? Even if you don’t agree… consider this an exercise. Give it a shot. I work in the legal field. Your cover letter tells me about your grasp of the language and your ability to communicate. My cover letter goes a step further. I use it as an opportunity to weed out unsuitable firms. I am technically proficient, but unconventional. I make rapid intuitive connections between apparently unrelated concepts and have a wicked sense of humor. Not office-inappropriate; but I am fast on my feet. If you can’t get past my cover letter which is modeled on an adopt-a-pet format (and tells how I can meet and exceed your goals) then you won’t like working with me. And I will flounder and die at your big stuffy firm. That cover letter has opened bigger and better doors than my perfect and plebian cover letter ever did. And I don’t get the deer in the headlights look when I open my mouth in the interview. I attended a job fair early on in my stint of unemployment and while there, attended a session being held by the Recruiters from three large companies (Coca Cola, Accenture and Archer Daniels Midland). It was interesting because in general, all three recruiters said something different. The Recruiter of one company said don’t bother with the cover letter as they would only look at the resume. In this case, the same resume was to be limited to one or two pages. The Recruiter from another company said that yes they look at the cover letter but they were more interested in the contents of the resume. This recruiter claimed to want multiple pages of a resume to see as much information and background on the person as possible (shocker since I was always told to limit a resume to one or two pages). The third Recruiter responded with mix of the two. I think most of this is a crap shoot. If you don’t have the keywords strategically placed in your resume, you’ll be scanned into the wastebasket unless it is a very high level or specialized field. For general administrative positions there are probably hundreds of individuals applying for the same jobs. Can I really believe a recruiter is going to read through a hundred plus cover letters and then resumes? 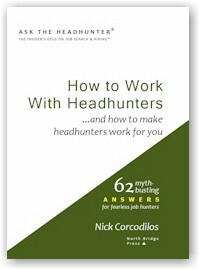 Nick you always raise a logical point on the process, but it seems HR folks are locked into one way of doing things and in some cases, an approach that requires a job seeker to waste a huge amount of time following archaic directions on the websites. I agree that unfortunately networking is the best route. However, the people who have come through for me have put little thought into referring me for a “good” job. It’s more the here’s an “entry level” job and you can work your way up approach. Perhaps if I were in my 20’s or 30’s that would be an acceptable approach. At 50, that is unreasonable. I guess at the end of the day, you can’t go wrong with adding a cover letter and hope someone on the end of process actually gives a hoot to read it if they require it. Ah to cover letter or not to cover letter. I think you can divide the world into two types of people, those that like them and those that don’t. When I became an agency recruiter I was shocked to learn that my boss and some colleague distained them, almost proud that they never read them. I’m in the “like them” school, as a job hunter, a hiring manager, and a recruiter. Though I include the email notations when resumes are submitted as cover letters. To Nick’s point…Why bother? In my case I suppose you can trace my zeal to the fact that I know I got my 1st professional job because of my unconventional, somewhat long, letter with a humorous bent. Somewhat cheeky and likely “unprofessional” It differentiated me from the masses and compensated for the fact that if anyone with a brain really read my resume you could see I was reaching or better put underwhelmingly unqualified. The optimum word is differentiated. it’s all about sales and sales is all about differentiation. In the case of cover letters though, when you deploy them, you need to take into account that you are looking for a combo HR/Hiring manager team that falls into the “likes cover letters” family. Otherwise it’s just wastebasket fodder. Mine happened to hit the desk of a hiring manager who liked cover letters and had the kind of personality I was appealing to. What I said in the letter, superceded what was in/absent in the resume. As a hiring manager, I read them all. Why? what was their value. Offsetting irony. The irony is that a very well written resume is a concise compilation of cold facts. Which may admirably suit the job description. The problem is “you” aren’t there. Other than a summary introduction a reader hasn’t a clue as to what kind of person you are, what kind of person who I may bring into my team. And that’s not trivial. True, I can find that out in an interview, but better if I get insights before an interview and possibly use my interviewing time for someone(s) who I suspect are hitting close to home. To Nick’s point a good cover letter is not going to regurgitate what you’ve already supplied in a resume it’s going to tell me something about what kind of person you are. It’s the beginning of a conversation about the job (doing the job) with a hint of enthusiasm, daring, risk taker, humor etc. It’s going to address the chemistry a resume can’t provide and some clues that you just didn’t bang out your resume in a vacuum, that you researched us or even me and have an opinion or two. 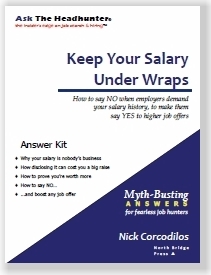 I’ve seen Nick’s combo approach and it’s a good suggestion, thought it tries the patience of the “no cover letter” crowd and flies in the face of the 10 seconds you get for a read. Plus invoking the risk of what my wife refers to as “grown men don’t scroll” because you should assume an electronic look before printing if you bother printing at all. I’d hedge my bets. I’d invest my time to develop and trial market a cover letter, so I have one in my toolchest when I know I needed one or want to use one. You don’t have to send it, but if you need one, quickly, it’s ready. Yup, for the most part they are if you look at any particular company. But as you point out, across companies those “locks” are different. So I repeat my point: Why take a chance when there is such variability across employers? Why use a method to get in the door that you know isn’t treated consistently? @Nick, part of the joy in life is taking chances with things. Some people understand the low probability that some approaches carry and are fine with that. Others may want to try to improve their odds. Think about it this way: How confident are you of the response you’ll get to a “How are you?” question in the morning? I’ll concede that a common responses are things like fine or good but some will retort with parroting the question back to you. Yet, this remains a common question people will ask with inconsistent results. As to the point of why have 2 documents? To my mind they serve slightly different purposes. The resume is intended to be self-contained and big picture in many ways,e.g. education and experience with dates generally, that isn’t true of what is in the cover letter that has more of a laser-like focus on driving home a specific point. One question regarding format – if the application is via email, should the cover letter be a separate document (attachment to the mail) or in the text of the email? Last time I was applying I always used the latter & now I am recruiting (direct, not via recruiters) I see variations of both. I do wonder, however, if the email text gets thrown away by whatever automated systems recruiters use. The details are specific to programmers but the overall point is true in any field. I am often asked to speak to college students on the secret of a well written cover letter and an interesting resume. Needless to say, I seldom get invited back. “I am clearly your best candidate because…” Really? Have you evaluated every one of my candidates? In order to insure objectivity, are you willing to remove yourself from the running? Besides, I seldom hire my best candidates… I often get superb candidates who I cannot afford. Instead, I look for people who represent good value for money, just as you might not pay $500 to the best haircutter when Supercuts does a fine job for $16. “Brooke, a colleague at my firm was laid off last month. He is an excellent worker, and I will stake my personal reputation on his integrity. I would like to take the two of you to lunch. Even if he is not a fit, I’m sure we will all find ways of making the lunch productive. Regards, Bob.” Assuming every time I have a lunch with Bob, my time is well spent, I will find time for lunch, and I don’t need to see a resume. Don’t worry about cover letters. Work on doing excellent things in the presence of people who matter. I will make this really simple, this is a tell tail sign of one’s breeding and good taste in this day and age of cheap and mass communication a well-written cover letter, actually all hard copy written communications, on beautiful quality paper that is conservative in colour and font will always stand out from the crowd. PS Did I just type tail? So sorry, of course meant tale. Freudian? Maybe! LOL. Why even bother? Because I will separate myself from the mass crowd, and THEN make the call. What you are proposing sounds great in theory, but reality it is …seven times out of ten that is NOT going to happen. The reality is at a major corporation high profile high paid executive managers are not even going to take your call (unless you have one hell of a powerful connection to them directly) so the idea that you just simply (sorry Nick) are just going to get on the phone, and waltz right into a deciding manager’s executive office and perform is very slim. If the opportunity arises? Sure great, but don’t expect it to be 100% of the time, because that is not going to happen. The problem here as I see it is that hiring managers and other candidate filtering technology tools all behave differently. Some look for a well crafted cover letter, some want your accomplishments listed at the top of the resume, some just look for keywords in the resume itself. So, how to ensure your cover letter/resume gets through this baffling array of screening points to actually sit on the hiring managers desk and for her/him to actually take a decent look? The answer is not to send your cover letter or resume through to the email listed in the job description at all! But to actually find someone you know at that company: ask them to recommend changes to your cover letter (if they think it’s necessary at all) and/or resume to match the opportunity and ideally hand your resume to the hiring manager. The hiring manager is almost certainly going to take a look at your resume using this approach, I know I would. Back to the original question: ‘I was recently laid off and I am applying for jobs online. The question I have is whether to include a cover letter or not? Do they really matter these days?’ I certainly hope the seeker is doing more than applying online. There isn’t just one way to find a job. People love to give job hunters advice, do this don’t do that, use this don’t use that. My advice is to do everything. The answer to all job search questions like ‘Do they really matter…’ is yes, no and maybe. It’s up to you to at least try to find out which for any particular situation. @Jobspeaker, ‘The answer is not to send your cover letter or resume through to the email listed in the job description at all! But to actually find someone you know at that company.’ Why not do both? If you don’t know what will work with one company/position/manager, then do any and everything you can think of. 3. You need to avoid appearing desperate and be more selective (even if you are under a tight timeline) – sending out a resume/cover letter to everything could send the wrong message. 4. Customizing your approach to particularly interesting companies/positions is how you stick out from all the others applying for the same job. it is so darn easy to even get to the CEO of a big company if you want to but you are still stuck in your fears….. here is how you do it… Any high level exec always comes in real early… who doesnt?.. their admin… someone has to answer their phone…. who does?, they do…all you need is an extension number . Easier to get than you think…. They also leave late at night.. admin gone.. who answers the phone? They do? You know how I know. I am one of those executives and have hired quite a few that had the balls to do that.I get a resume in the mail I throw it in the can even if the applicant walks on water… If you didnt have the gumption to call me and lived in fear and did everything the correct way I didnt want them. With me its 100% percent that you will get a job if you did that and met our requirements.. I would make a job for that person if I dint have one.. A hiring manger cant.. I could… Stick with your way… Talk to you in a year or you can try my way. Test it on a company you presently have a problem with like a credit card problem or computer proble, phone issue, etc. I know you call customer service which gets answered by some person in Upper Slovenia but you will wait the 20 minutes to get to talk to some person who cant speak English… Good little doggie.. Thats what the company wants… Now wake up at 6:30 after having gotten the extension to the President of the credit cardor computer comany’s office and you may be presently surprised.. If you do, pitch yourself to him even if you know you dont fit.Its good practice.Give him your elevator speech. Better wear depends when you make that call.You may be presently surprised or even shocked with the response uou get. Do you think I wait to talk to a nobody in customer service…. Do you know what a Prole is? If you feel silly saying tired things like “I’d like a rewarding job in an environment where I can contribute my …” then don’t say that. A cover letter is an opportunity to show you can write (if you can), that your thoughts and expression are fresh, that you’re a person worth meeting. Make sure too, your letter reflects that you’ve researched your prospective employer and that you have relevant questions that demonstrate your interest in their business. If one of their significant challenges is obvious to you from what you’ve read, talk about ways you might help address it. All this belongs in a cover letter. I think cover letters are essential primarily as transmittal letters, and as standard good business practice. However, I agree that if you are relying on a cover letter to get an interview or introduce you cold, good chance it’s a waste of time (speaking of wasting time, as with resumes, don’t spend a lot of time composing cover letters). The way to get an interview, the first step in getting a job, is to get to know the hiring manager, as Nick says. For me, I most often get to know hiring managers by mutual acquaintances and networking. My experience has been that it is not easy to get hiring managers I need to talk to on the phone in a timely manner—since I searching on the executive level, the hiring manager is someone at a chairman, CEO or executive VP level. These folks are not readily accessible, so I often have to use a cover letter as a letter of introduction. That often works to get me noticed. The rest of the cover letter is really unimportant. I worked as a head hunter for 20 years, in all these years I don’t think I read 5 cover letters. I think they are a cookie cutter type of self advertisement. Most of them are the same, only the names change. However, when in doubt I think you can include one, but don’t expect it to lead to an interview. A good, clean and easy to read resume will do, then it’s up to you. A “broad” cover letter is often nothing more than a reminder to the hiring manager that the applicant is applying for a lot of jobs and this is just one more, not one the applicant is particularly more interested in. I’ve frequently recommended that job seekers should think of themselves as sales representatives whose product is themselves (for example, here: http://www.weblog.keepthejointrunning.com/?p=3369 ). The difference is that direct marketers figure a 1% response rate when sending to a cold list is just fine and dandy – direct marketing is a numbers game. When you’re looking for a job, on the other hand, a 1% response rate is mathematically indistinguishable from zero, unless you’re willing to mail a few hundred pieces and then take whatever job happens to be offered. Even if you figure the parallel is closer to a “warm list,” the 5% you might expect is still pretty bad. looks like you hit a very interesting topic. I weighed in last week as pro-cover letter. But great feedback and Nick’s and CEO/Sam’s point merit some more noodling on my part. * Decision makers are not one kind of person. What works for one, won’t work for another. * To Nick’s point. Producing a cover letter is a potent exercise. It’s potent because like your crisp killer resume, it forces you to think your value proposition through and get it down concisely and reason test it via someone(s) in your network whose opinion you value. Once done I agree with Nick best delivered voice/voice or even better in person. It also equips you, to deliver it, via email or follow up to your direct contact if you hit one of those email cultures. (the busy exec isn’t likely to take notes. So I don’t think producing a cover letter is a waste of time..It’s all about how you use it. * I agree with Nick et.al if all the cover is a rehash of the resume, don’t bother. It should offer something more. It should contain some insights to your value not in the resume. Something about you that differentiates you from others and fits the job for instance. And don’t say then put it in the resume. Resumes are fact compilations, not good for delivering subjective information. * alternatives: much of this discussion centers around cover “letters” and letter seems to be a hang up. think cover something. If you can connect by phone you are delivering a cover something but it’s verbal, and you’d better have something organized in your head to talk about as the burden is on you to cover the conversation’s start. * But the very best cover something which may come close to an alternative approach that Nick has in mind that got my..and the client’s attention, was a “cover” PPT. It was a sr Program Manager position for a very complex program. The applicant sent a PPT he produced for a previous and very similar job. In so doing it was just as if he already worked for the client, laying out how he’d manage the program, with a concise program plan, etc. VERY impressive. He differentiated himself big time from everyone else. He was doing the job so to speak. He got the interview post haste. (He didn’t get the job..or declined it due to not coming to terms on base pay..the client wanted to take the $ low road and he didn’t need to do that). But to the point of this discussion his approach had the desired result, he quickly moved to an interview. The non-profit I work for requires cover letters in addition to a resume. The jobs posted often do not have contact info and request “No Phone Calls”. However, if you were to call me out of the blue, I would tell you who the hiring manager is, and if you sound great, I would probably send you along to the hiring manager’s voice mail. It all depends on the timing. Since an organization like mine requires a cover letter as a formality and a chance to learn more about the person, it is crucial applications include it. But it is usually through personal contact (friends, phone calls, checking us out before needing a job, etc.) that one gets a job here. First, lets get the terminology straight. A cover letter is something one sends with a resume. A letter sent without a resume is a letter. Its purpose, most likely, is to tell the employer why he should take the time to interview you. Sometimes such a letter is a good idea, although perhaps not as good as calling the hiring manager on the phone. But how many times can you reach the hiring manager on the phone? Most of them won’t allow you to get past the person whose job it is to screen out unwanted calls. Don’t forget that gatekeepers and admin assistant’s are key players. If you can’t get to the hiring manager, pitch to the admin assistant. Try to recruiting him/her as an advocate. They get plenty of calls and the same points under discussion about differentiation can work with the admin. They have impact and influence. Cross one the wrong way & you’re toast, inside and definitely outside. You may get to the hiring manager by voice mail, which some sales people is an advantage than disadvantage. of course you need a stellar and short message concluding with a specific time and day you’ll recall. My issue is what to put in a resume. I do contract work so my resume could show 15 different companies in the last 10 years. I am not a flake, I need to work and don’t want to wait around for that response to a cover letter. I want the opportunity to be judged by my work experience, not my ability to mimic others. @Jeane: Here’s what I suggest, and I think it’s hard for many people to grasp how simple it is: Go hang out with people who do the work you want to do where you want to do it. It might be online on forums like this one, or on work-related sites, or in a training class or at an industry event… or maybe just at the bar where employees of a certain company hang out after work or where they go for lunch. Mingle. It’s an astonishing career tool if you do it honestly and without expectation of immediate returns. I found the article below very interesting. 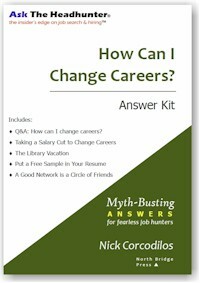 The author (Phil Rosenberg) claims to have conducted research that actually proves that cover letters do not work. The article was also posted in Linkedin and started a HUGE (over 400 comments) discussion that you may all find interesting also. Some very wise comments. On our website, Humongous Shortage of Work (http://www.HumongousShortageOfWork.com), Editor Demeritus, Kotow Shergar, has the definitive article on how to write a cover letter. Among other things, he says that, with the proper cover letter, it is never your own fault if you fail to land the job. He teaches you to write a master cover letter, making sure to always say you are the best candidate, and then use the “search and replace” feature of your word processor to customize it for each job, as appropriate. Of course, this brief review does not do the article justice. You should read it for yourself. If I’m right, they’re doing a phenomenal job of delivering dry humor. The articles crack me up. If it’s not a goof, then personnel jockeys must be writing the material! Yep – that’s the point! That’s who you want to be around! I don’t disparage getting together for support in tough times. But get real about the task at hand. Job hunters need to be around EMPLOYED people as much as possible! Good for you for putting the resume aside… go make new friends! Simple answer. I always use cover letters. Long ago I was told the cover letter is your one minute sales pitch – what you’d say if you only had a minute of their time. I’d never use a canned cover letter! A good cover letter takes considerable thought. The goal of the cover letter is not to get the job. It is to get the interview. The goal of the interview is to get the job. For every interview offered where I didn’t already have a network connection or personal introduction, the cover letter got me in the door. One thing that hasn’t been mentioned is the email cover letter. Is this considered a replacement cover letter or more like a letter of introduction? More than once, I’ve been told by a prospective employer that the fact that I could write well, put me way ahead of most of their other candidates. Some even went so far as to detail the atrocious writing they’ve seen in cover letters sent to them, some of which were hard to believe! So at the very least, this is a chance to show that you can write a full, well-constructed, meaningful sentence or two. That alone is worth the trouble of writing a cover letter.